Hi & Welcome to the First Post on Bebe Designs Blog Page. Its been a long time coming to get this site finished. Lots of late nights and proofing. 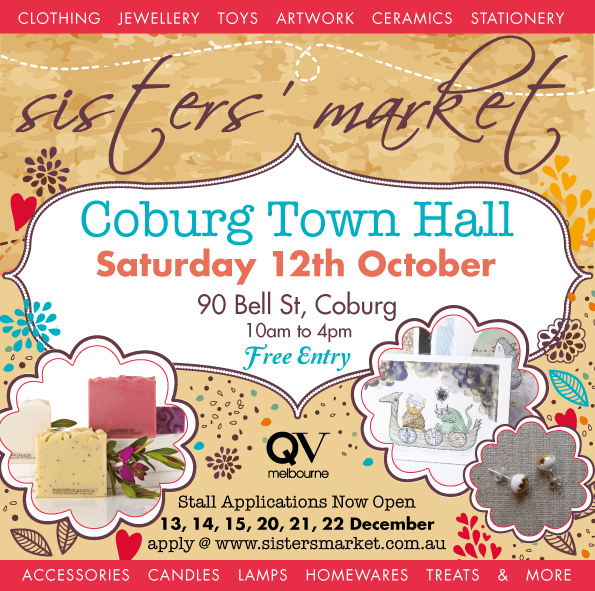 In conjunction with our website Launch we will also be attending the Sisters Market in Melbourne this weekend (12th October 2013), so come along and say Hi! Below is the flyer with info.